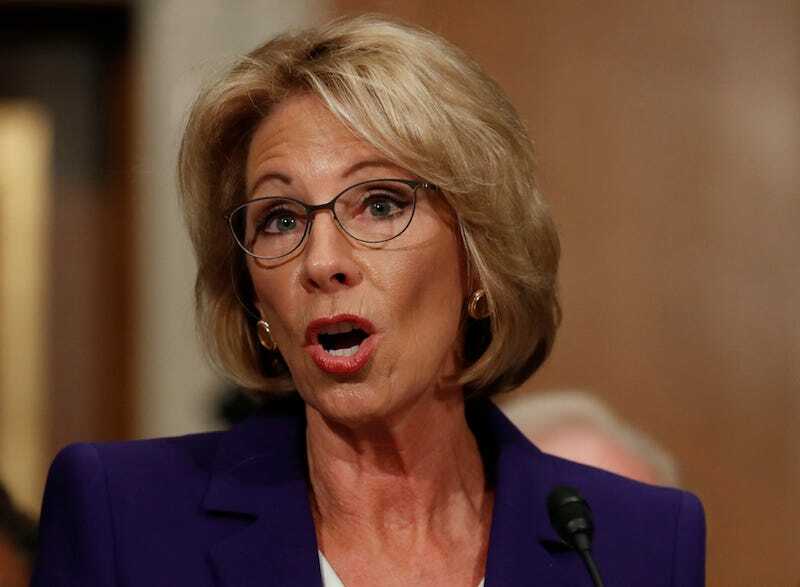 As the confirmation hearing for Secretary of Education plods along, Betsy DeVos calmly told Connecticut Sen. Chris Murphy (D) that guns might have a place in schools because the children of America need protection from grizzly bears. Murphy’s final question pressed DeVos further. When asked if she would support Donald Trump’s plan to ban gun-free school zones, DeVos simply said “I will support what the president-elect does,” before acknowledging that her “heart bleeds” for families affected by gun violence in schools in America. This is not good, people. This is alarming. Watch the exchange below. This post has been updated to correct the three instances in which Senator Murphy was mistakenly referred to as Senator Murray. Jezebel regrets the error.